Last week, my little baby girl turned one. Can't believe it! That one year has gone by so quick! I made a few cakes for her, to share with our family, friends and church family. It was a lot of baking - more than 16 kilos of cake baked, frosted and decorated in a span of four days, but I totally enjoyed it! Here's a picture of the cake I made to share with our family. The cake was a simple butter cake, filled with buttercream and fresh strawberries and covered in fondant and gumpaste figurines. 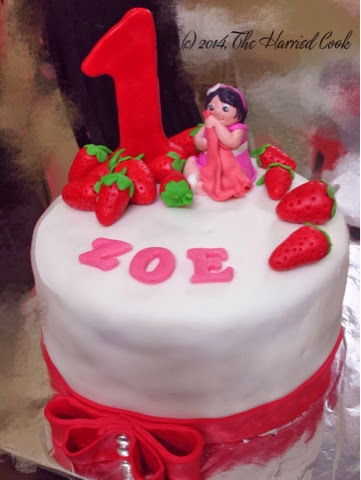 It was so much fun to make, and the birthday baby loved her cake and clapped her hands in glee when she saw the cake. Now, on to the recipe for today. As you can see, I'm thoroughly enjoying playing with my new doughnut pan! 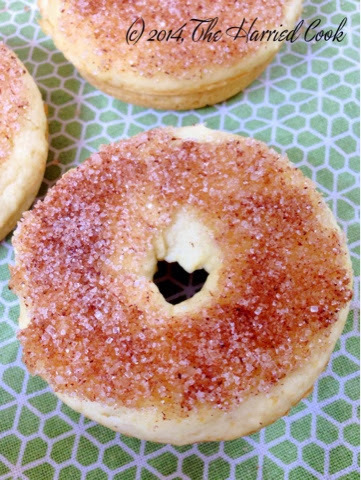 This recipe makes a yummy, soft doughnut that's quick to fix, and great for breakfast or as an anytime snack. The combination of a hint of nutmeg and a blast of cinnamon make an amazing combination. 1. Sift the flour, salt, baking powder and nutmeg powder into a bowl and set aside. 2. In a large bowl, cream together the 5 tbsp of butter, and the 1/2 cup of sugar. Cream till light. 3. Add the egg and beat in until completely combined. 4. Add the flour mixture to the creamed mixture in three parts, alternating with the milk. 5. Fill the doughnut tins half-full and bake in a preheated oven for 15-20 minutes or until a toothpick inserted into the doughnut comes out clean. 6. In a small bowl, combine the sugar and cinnamon powder and set aside. 7. 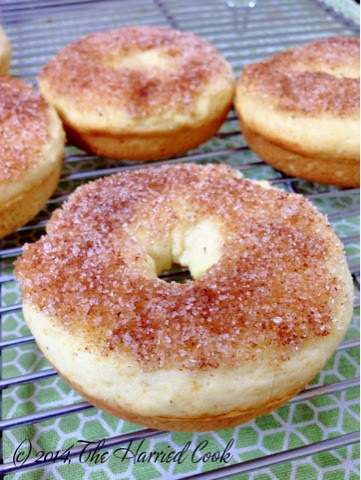 Dip the doughnuts tops in the melted butter and then in the cinnamon sugar mixture. Serve warm. 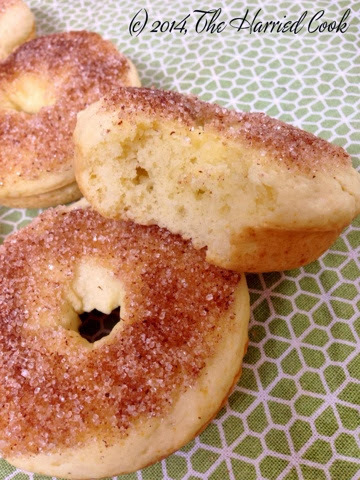 I've made this recipe as doughnut muffins too, and they work great! Everyone at home enjoys the flavors and texture of these doughnuts. A keeper, no doubt!